I can appreciate what you get out of kits- they’re an affordable hack to try new products without the risk of breaking the bank. 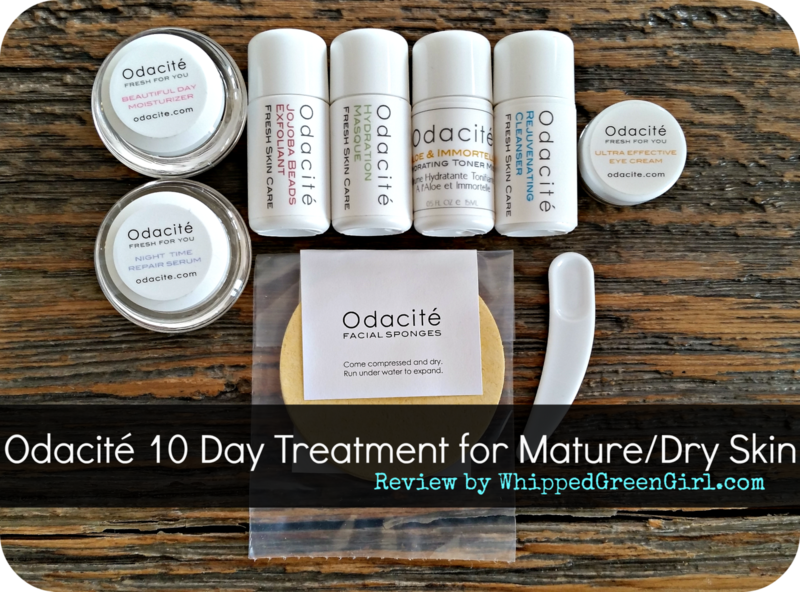 I was giddy when I received Odacite’s 10 Day Treatment since I was getting the opportunity to try 7 different high-end organic products. 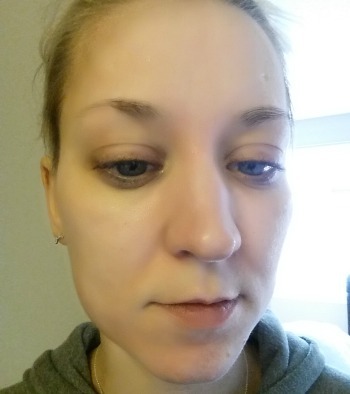 Another unique service Odacite offers I have never experienced before- after ordering you will be contacted by a licensed estethician based in California to coach you! That’s some seriously special treatment for my old mug, that’s for sure! The first time I used the kit, I tried everything- next I used different elements of the kit every night for 10 nights. I had enough product to last me the full 10 days (with some leftovers- oh yea!) The only one that didn’t last was the toner, it’s hard to apply considering it’s not in a spray bottle and I loved it so much I used it all the time. 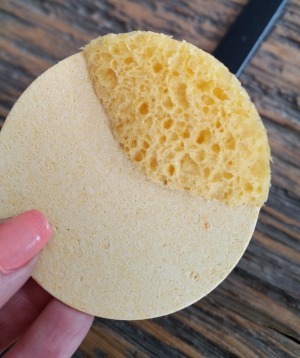 STEP #1 – THE BEST SPONGE EVER! 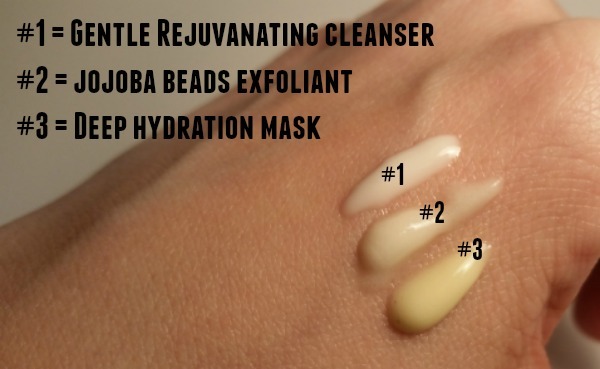 Odacite’s jojoba beads were the most delicate on skin I’ve ever used! They went to great lenghts to ensure their beads are perfectly rounded to exfoliate without the danger of micro-cuts that damage skin. Lavender oil, jojoba seed oil, and white tea extract are mixed together to rumble and remove that layer of useless dead skin and leave your skin feeling soft and breathable. After exfoliating a good hydration mask is like a warm bed on Sunday morning. Your face will literally sigh after coating it on, its like- “ahhhhh” soothing. It must be left-on for 20min. to allow all the antioxidants, Vitamin E, and organic tea extracts to kick your skin in gear and encourage plumpness before rinsing-off. This moisturizer definitely works and was long-lasting. It’s creamy and my skin ate it up, leaving no grease behind. Its been formulated to fight-wrinkles using extra-virgin-organic-coconut-oil- your arsenal to strengthen your skin’s natural defense all day. Bonus, it helped lock-in my makeup too. The goal of this serum is to leave skin feeling fresh and replenished when you wake-up. It’s not oil based, which is typical of serum’s- instead it’s cream based. International press have celebrated this product for fighting fine lines, loss of volume and wrinkles. I mixed some of Odacite’s Wild Carrot Serum with this serum at night for a worthy skin treatment I’d definitely recommend. 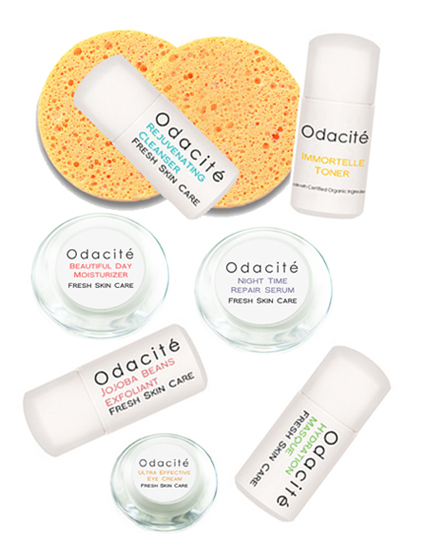 Odacite prides itself on effectiveness without toxicity and I can hands-down, proudly claim that their products work and made a difference on my skin. Odacite has chosen some seriously high-end, high-quality organic ingredients for their lotions and potions. 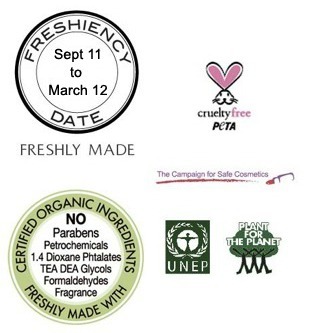 This pride has made them the “crème de la crème” in the organic skincare industry. 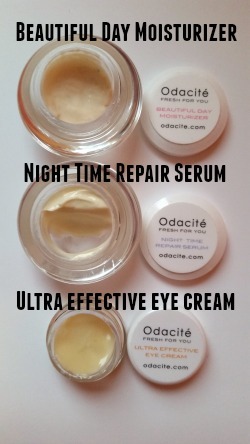 From Rachel Zoe to the New York Times, Odacite is raved about worldwide. I am so happy with my skin after a week, I’m willing to show you my scary “makeup-free” mug so you can see how great my 32yrs old skin looks!